Finally, they come, millions of them dominate the air around me, itchiness dizziness, running nose, boy, the annual allergic season come again, I should start to mark my calendar and count the day. The entire August will be rough, undoubtedly, like other August I have pasted since 5 years ago. I literally should smile because here are some interesting aspects of my allergic month. First, the allergic arrive in time every year, SO EXACT , 30th of July on the dot. Funny, isn’t it? Last night, everything was fan, no bad feeling, no running nose, the next morning, when I get up, my nose feel uncomfortable, slightly itch, so weird, and became sensitive to cold feeling, what can I say, “Good morning, pollen, I really had a good time with your siblings last August ” yup, 30th of July, I never miss it. Second, it make me so special, not too many Chinese people are allergic to pollen like me so seriously, so, people around me always think I got flu or something else. I have to explain to them that allergic to pollen is definitely different from having flu. But I have hardly got flu or had a cold since I notice that I’m allergic about 5 years ago, even some tough guy got flu, I didn’t. maybe allergy give me an extra resistance to flu, I guess so. I know, I know it sound ridiculous, but this stupid thought really make me feel not too bad or unlucky to have allergy, ya know, in one month my nose is running, but in the other ELEVEN months, I’m super health. Third one, the experience make me believe the micro stuff which you can’t see it with your naked eye is real. For example, the pollen, you can’t see them with your naked eye, maybe you ignore them, but I can feel them, maybe a bit suffering. A friend of mine said why she can’t smile the pollen? She don’t believe because she can’t see them last year. I said because you are luck then. But I don’t suppose like that these year, if I born to be allergic to pollen, I just to be what I should be. Fourth, it’s really a good opportunity to know about myself, to take care of myself. Don’t be too tired, don’t stay up late, don’t drink alcohol, yup, in August life seems a bit boring, but in August peng is literally a good boy. Fortunately, I have found that doing something in focus would make me feel better, like eating foods, dancing, and playing video games. This kind of stuff make me not notice that something was sliding in my nose. 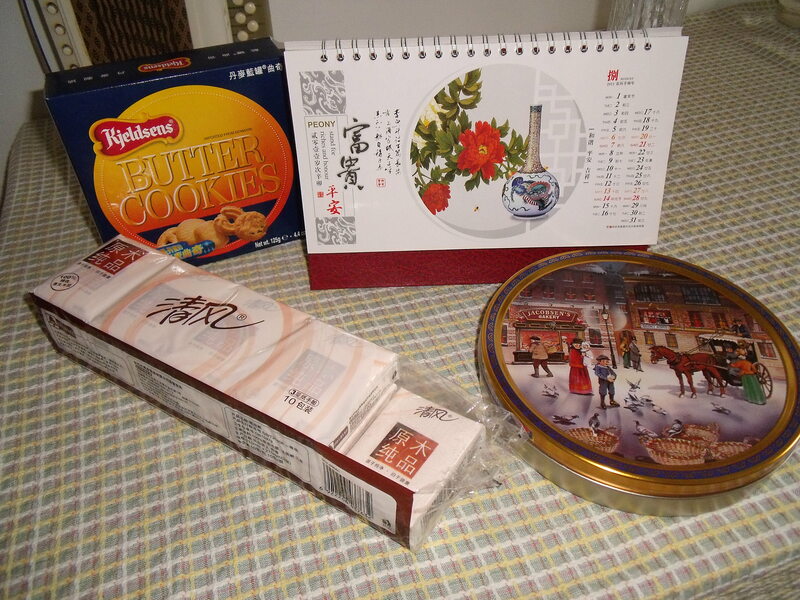 So I was eating very often in the allergic month, August, to be honest, I have a big sweet tooth, so allergy give me a good excuse to enjoy crackers, cookies, chocolate, without feeling any guilty. See, cookies is really the best medicine to me. But there is really one thing make me feel guilty, I’m an environmentalist，in august I’ll use countless facial tissues, which made from trees, forgive me, for I have sinned. I promise I will try my best to save facial tissues. Currently I have started counted the day, time flies, so I bet I will go through the August without any trouble ( yup, maybe a bit ), with smile, with my cookies, I’ll survive, see you in September. Oh I’m sorry you feel so bad, peng! 😦 I really hope you get better soon. You’re in my prayers. oh, thank you Tia, it’s so sweet of you, i’m in your prayers, i don’t know what to say, friend, you amazed me. don’t worry about me, my friend. i’m ok just like what i posted, i do my best to keep warm, not too busy, and do more rest, avoid staying outside too long, balance the breathe, take everything easy, so it really works, i currently just feel slightly itchy in my nose once in a while, i can breathe in through my nose, i can sleep well, maybe a bit running nose when i get up, but it got better when i finish my breakfast. yup, i count the day, i got the confidence to go through the August without suffering. So how’s going about you these days. I am allergic to pollen too and it is no fun – sneeze sneeze wheeze wheeze. I hope you get through the season in one piece! but after many allergy experience we can find some way to make our life not so bad during the allergy season. so, maybe both of we should cheer up, i know, i know, the sneeze, can’t breathe through nose is really suffering, but we are not stranded, we could make a little change.